There is a new demo available for Ace Attorney: Spirit of Justice if you are at E3 this year. It is playable at the South Hall #2023. But for the rest of us out of that loop, there will still be a great chance to see the new title from the very popular series in action. Capcom Unity will be live streaming today at 2 p.m. PT and tomorrow at 11 a.m. PT, and you will get some more details for the upcoming game there. Capcom has also given us some more information about what is exactly on that demo. The new demo introduces bright-eyed monk-in-training and self-styled tour guide Ahlbi Ur’gaid, who has been accused of stealing the Kingdom of Khura’in’s national treasure, “The Founder’s Orb,” and murdering its guard, Paht Rohl. Under the kingdom’s legal system, if the defendant is proven guilty, so is the representing attorney. 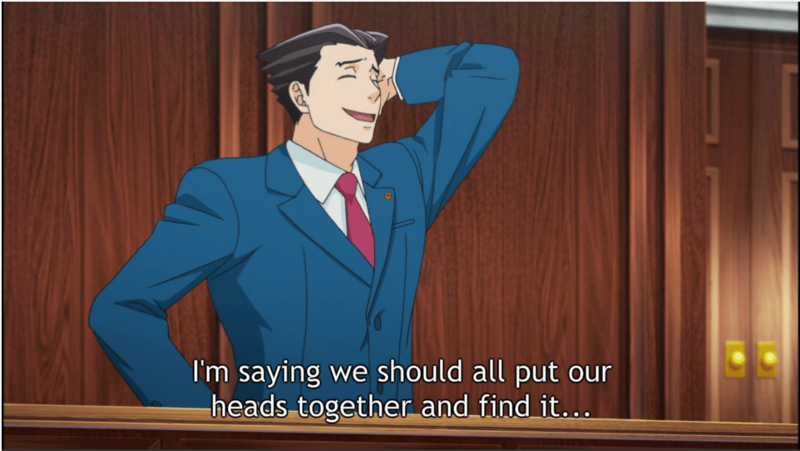 This has led to the absence of lawyers for many years, but visiting attorney Phoenix Wright steps in to defend Ahlbi against the returning and smugger-than-ever prosecutor Gaspen Payne. In this land’s courtrooms, séance trials decide the fate of all defendants. Royal priestess Rayfa is able to divine the final moments of a victim’s life in the courtroom’s Pool of Souls. The victim’s memories are not limited to sight alone – all of a victim’s final sensations are laid bare for the court to consider before a judgment is made. Players will need to find inconsistencies between Rayfa’s interpretations of the vision and the memory itself to prove Ahlbi’s innocence. We will have more information about this upcoming game when it becomes available. It is scheduled to be released on the 3DS eShop this September for $29.99.